Shoppers near San Jose, CA in the market for a luxurious and versatile SUV are in luck with the new Land Rover Discovery! 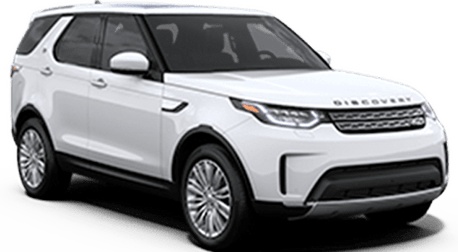 The 2019 Land Rover Discovery offers drivers the perfect blend of style and performance! The new Land Rover Discovery is perfect for active families of all sizes! Utilize all three rows to seat seven passengers and you'll still get 9 cubic feet of cargo volume; fold down both the second and third row to unlock 77 cubic feet of cargo capacity! The flexible and versatile SUV offers flexibility to travel with 7-, 6-, 5-, 4-, 3- and 2-passenger configurations! It's not just spacious - the new 2019 Land Rover Discovery offers incredible capability, as well, thanks to a number of off-road features, including the new Terran Response 2 system that automatically monitors driving conditions and applies the best-suited driving mode to improve capability, efficiency and more! Keep reading to take a closer look at the new 2019 Land Rover Discovery at Land Rover Stevens Creek of San Jose, CA! The 2019 Land Rover Discovery is available in three trim levels: SE, HSE and HSE Luxury. Each model offers the choice between a 340-hp, 3.0-liter Si6 gasoline engine or a 254-hp, 3.0-liter Td6 diesel engine. When properly equipped, the new Discovery offers a towing capacity of up to 8,201 pounds and a top speed of 130 miles per hour! In addition to capability and performance, the new Land Rover Discovery offers incredible style, luxury and comfort thanks to a number of incredible interior features. 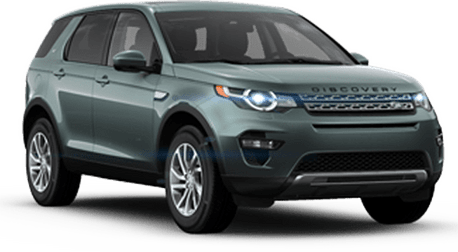 Some of the finest features found on all Discovery models include leather seating, a 10-speaker enhanced sound system with a 10-inch touchscreen and Land Rover InControl®Touch Pro™, LED lighting and more. Some of the best available features include Windsor leather seating, a Touch Pro™ Navigation System, ambient interior lighting and so much more! The 2019 Land Rover Discovery features a starting MSRP of $52,300. Schedule a test drive of a new Land Rover Discovery at Land Rover Stevens Creek of San Jose, CA!